Popular Consultation Day is a public holiday in East Timor celebrated on August 30. It marks the anniversary of the Popular Consultation of 1999, which eventually led to the independence of East Timor from Indonesia. 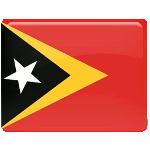 East Timor, also known as Timor-Leste, comprises the eastern half of the island of Timor in Southeast Asia. The first European explorers arrived on the island in 1515. In 1702, the territory was officially declared a Portuguese colony. After the Carnation Revolution of 1974, the decolonization process began. Portugal effectively abandoned East Timor. In 1975, East Timorese political parties began a civil war, struggling for power. The war resulted in the victory of FRETLIN, which declared the independence of East Timor. However, in December 1975, the newly independent state was occupied by Indonesia. Indonesian occupation of East Timor was notorious for its brutality and violence. In the 1990s, the United Nations intervened and held an independence referendum. Voters were offered to choose between autonomy and independence. On August 30, 1999, almost 79% of the voters favored independence. Popular Consultation Day is celebrated nationwide with colorful marches and parades, military displays, folk performances and other festive events.